While some might scoff at the idea of putting up Christmas decorations before December, early birds might have the right idea this year. A looming Christmas tree shortage across the country means you may not want to wait to purchase that piece of festive decor. According to the National Christmas Tree Association, a country-wide shortage will mean higher prices this year, increasing the cost of your tree by 10 to 15 percent in some areas. The association’s Doug Hundley explained the reasons behind the shortage, citing the Great Recession about a decade ago as the culprit. 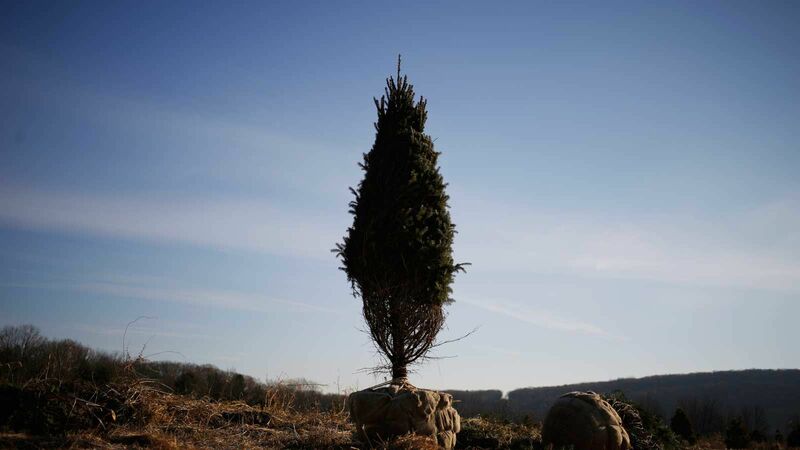 Because evergreens can take as many as 10 years to reach maturity before they’re ready to be cut, the country is just now feeling the effects of that recession on the holiday season. “In those years, we were in a recession and tree sales were down, prices were down, and we weren't planting as many trees,” he said. However, as in years past, it's likely that prices could drop closer to the holiday. 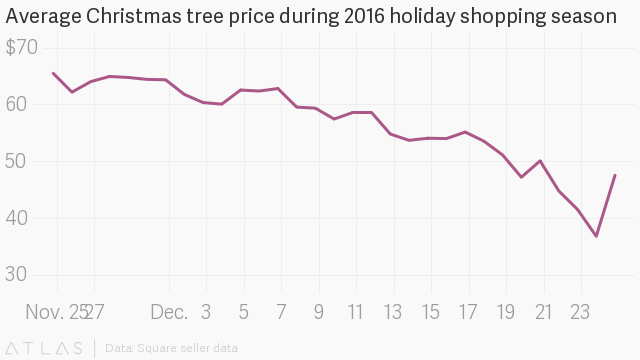 A Quartz analysis of 2016 tree prices showed a significant drop in the 10 days leading up to Christmas. Meanwhile, the NCTA urges shoppers to purchase their trees early this year in order to ensure a greater selection of quality trees. What to do? If you want the giant, lush tree of your dreams, you may have to get out there early — and pay a heftier sum for it this year. But if you're in it for a deal, consider waiting until mid-December to get the tree.